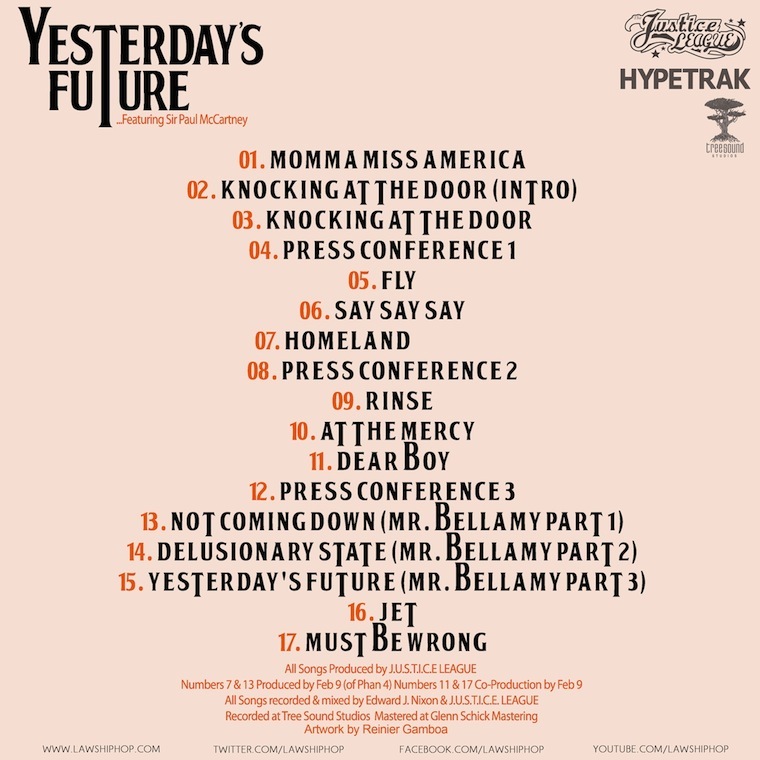 Laws released a new mixtape titled Yesterday’s Future, featuring music inspired by Paul McCartney and produced by the J.U.S.T.I.C.E. League. Definitely give this a listen.